If you’re experiencing a high-risk pregnancy or have certain medical conditions that could make a pregnancy risky, you can trust UMass Memorial Medical Center to safely guide you through pregnancy. Our maternal-fetal medicine specialists are the region’s only doctors with advanced training in high-risk obstetrics, offering a high level of care you won’t find anywhere else in Central Massachusetts. In addition to doctors, your care team at the Medical Center includes nurses, social workers, dieticians, genetic counselors and ultrasonographers. This team works closely with you and your obstetrician to find answers and safely guide you through a complicated pregnancy. 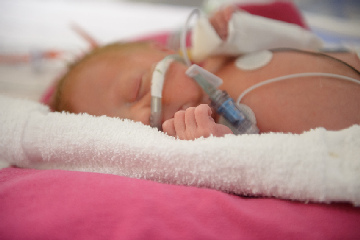 For added confidence, we also offer the region’s only Level III Neonatal Intensive Care Unit (NICU) – a unit designed to care for newborns with any problems 24/7.